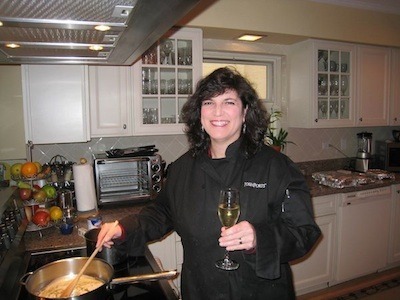 Secret Recipes and Hidden Kitchen Treasures - Ambassadors of World Food Tourism. 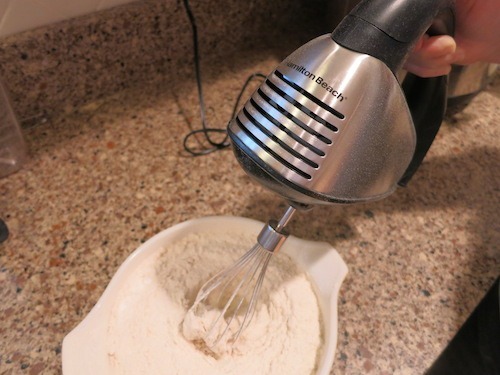 We were recently invited to test the Hand Mixer from Hamilton Beach. We were not financially compensated for this review. The opinions shared are our own and based on the experience we had. There’s an urban legend that has been passed around in various forms for many years. You may have even heard about some secret recipes like this one. 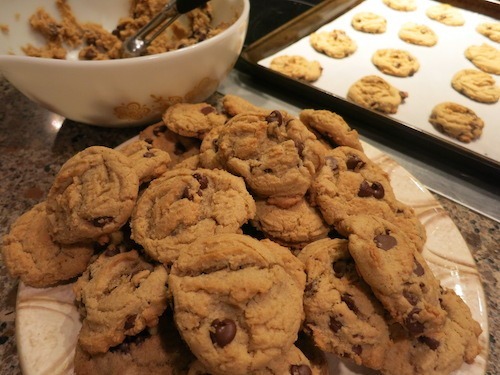 The $250 Secret Neiman Marcus Cookie Recipe, it’s often called. 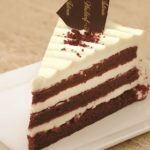 The story goes that a woman was dining at a Neiman Marcus cafe and her daughter loved the special chocolate chip cookie that came with dessert so much that she asked the server if she could get the recipe. The server said yes, but there would be a two-fifty charge. When the woman later received her N-M bill, she saw that the charge was indeed two-fifty – not $2.50 as she thought, but $250. She decided to get her money’s worth and shared the “secret” recipe with everyone she knew. As fun as the story is, it isn’t true. However, the recipe that accompanies it is fabulous. The “secret” to the recipe is the addition of “blended” oats. What are blended oats you may ask? Well, they’re oats that have been ground up in a blender to make them fine as flour. 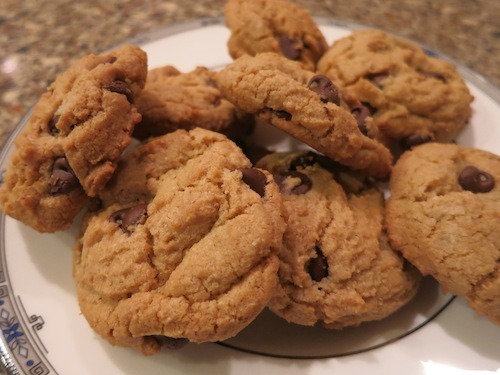 They are added to the dough to create a delightfully decadent but fiber-rich cookie that is perfect for those who like stealth health in their treats. I love this secret recipe, which is, of course, not so secret and am happy to share it with you. It’s also no secret that I, the messy chef, am abysmal about all the “stuff” I have on my countertops and in my kitchen. I can’t help it. I inherited the mess gene. 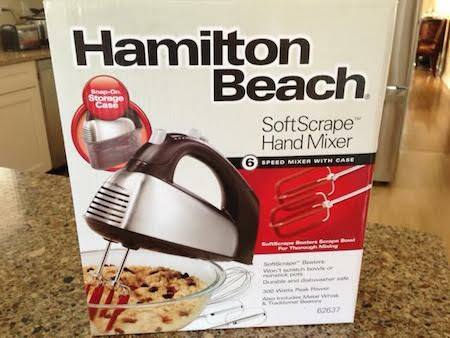 So when Hamilton Beach® gave me the opportunity to try out their 6 speed SoftScrape™ Hand Mixer with a Snap-On Storage Case, I jumped at the chance. Anything that “might” help me cut down on my self-created disaster area of a kitchen, delightful as it may be to me, is welcome. 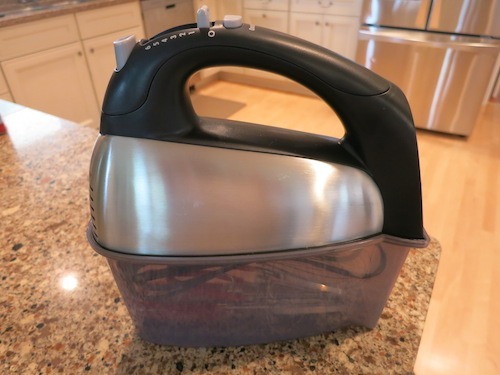 Fortunately for me – and you – Hamilton Beach is the master of practical. Their Good Thinking® approach to designing products is nothing less than, well good thinking! Bottom line: The hand-mixer is full of surprises and now I can boast of it as a hidden kitchen treasure instead of one more thing cluttering up my space. I’m going to show you a few of its coolest features and at the same time give you the so-called $250 cookie recipe. So, here we go. Dive right in and amaze yourself, your family and your friends! 1. 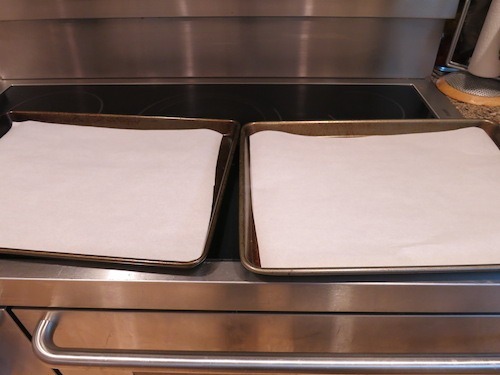 Line your cookie pans/baking sheets with parchment paper. 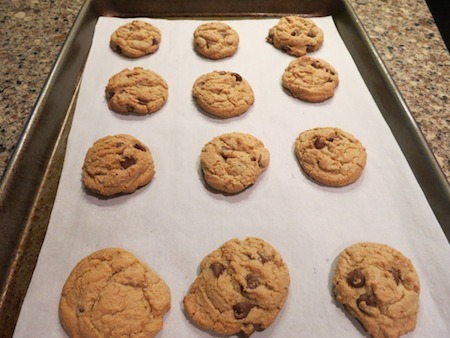 This makes it easy to remove the cookies from the sheet every time! 2. 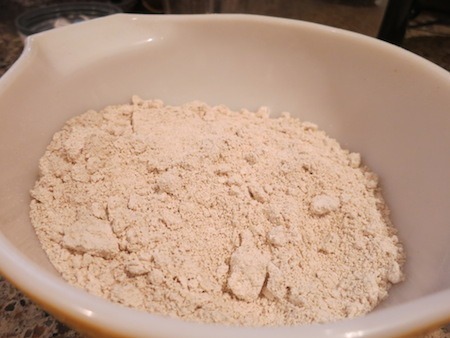 Blend the oats in a food processor or blender until they look like flour. This is the main “secret” to the recipe. 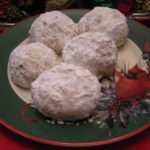 It adds fiber, whole-grain goodness and nutritional value to the cookies. It also helps make them more filling, so you can have just one or two and feel satisfied. See, cookies ARE a diet food! 3. Whisk together the blended oats, flour, baking soda, baking powder and salt and then set it aside for now. 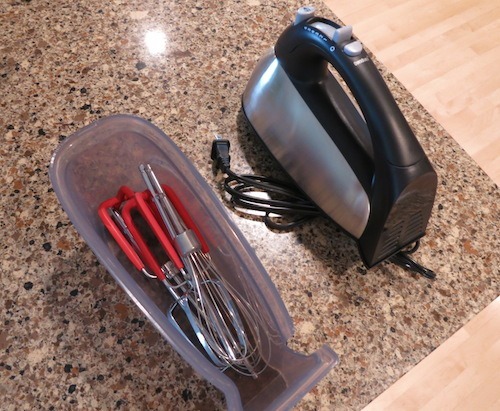 Here’s the first Hamilton Beach Good Thinking Hand Mixer surprise! It comes with a whisk attachment that works perfectly. Look at me, I hardly got anything on the counter. I never had a whisk on a hand mixer, and let me tell you, I came up with all kinds of cool applications for it. I bet you would too. I love it! Hamilton Beach Mixer Whisk Attachment – Brilliant! 4. In a large bowl, mix the butter and sugars until creamy and fluffy, about 3-4 minutes. Add the eggs, one at a time and beat after each addition. Then add the vanilla and blend just enough to incorporate into the mix. 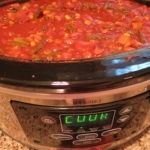 Here’s another cool feature – In addition to 6 speeds, there’s a QuickBurst™ button that pops this baby into high gear. When you have life ADD like I do, it’s fun to feel that surge of power and watch things churn. 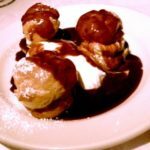 Of course, it has some practical applications too, like whipping cream or aerating egg whites. 5. On low speed, add the dry ingredients slowly, so as not to make as much of a mess as I do. Do it in two or three parts, if you have the patience. The Hamilton Beach SoftScrape beaters would come in handy if you were mixing something in a nice bowl or nonstick pot. I didn’t need them this time, but will definitely try them in the future. 6. 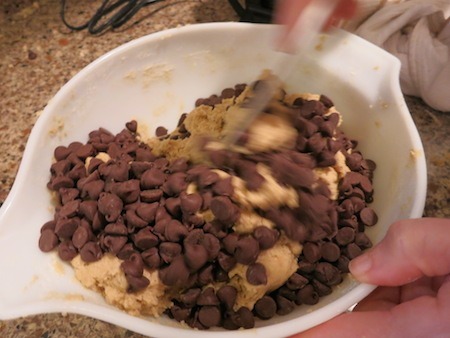 Add the chocolate chips (and other goodies if desired) and fold them in gently with a spatula or wooden spoon. Then use your 1/2 Tablespoon scoop, a Tablespoon or your hands to make balls of dough and place about 2 inches apart on the parchment-lined baking sheet. For larger cookies, you can use about 2 Tablespoons, but as these are quite filling, I find the smaller size is sufficient. 7. Bake at 375 degrees F for about 10-11 minutes until lightly done for chewy cookies, 12 minutes or so for crunchy ones. I know this is a Neiman Marcus cookie not Mrs. Fields or Famous Amos, but we all have our preferences. Use your own for chewy vs. crispy. Then let them cool on the baking sheet for a few minutes before putting on a plate. Some people like to use a cooling rack to finish the cooling process, but everyone knows I have no patience for that! So here’s the final hidden treasure about the Hamilton Beach® 6 Speed SoftScrape™ Hand Mixer with Case. Um, it’s the case! Yes, you literally take all of the beaters, the whisk and even the cord and stick them inside. Snap the body of the mixer on the case and voilà! Everything’s together, safe and out of the way. Brilliant! Here’s my disclosure: I have to tell you, I am excited to have been chosen as a Hamilton Beach brand ambassador and wanted to try out the mixer that Hamilton Beach was kind enough to give me to test. And, just like you, I wanted to see it in action. As you know, if it sucked, you wouldn’t read about it from me. I hope you found both the review and the recipe worthwhile. After all, there’s nothing better than discovering new secret recipes and hidden kitchen treasures! 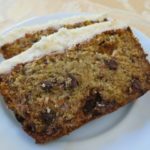 I’d love your feedback on this post as well as on the mixer and the recipe. Please comment below or contact me directly through Food Travelist on @diana or on Twitter @foodtravelist and Facebook https://www.facebook.com/FoodTravelist. THE QUICK BITE: Here’s a practical review of the Hamilton Beach 6 Speed Softscrape Hand Mixer with Case and secret recipes for $250 chocolate chip cookies.